This is granted for a single entry to the country for a stay of not more than 30 days. It is valid for 3 months from the date of issue. Once in Cambodia, it is possible to apply for an extension to the visa through the Immigration Office, a department of the Cambodian Interior Ministry. The department’s offices are located directly across from Phnom Penh International Airport. Only a single application for extension can be made. This is granted to business people, journalists and foreign workers (for an initial period of 30 days). As with the tourist visa, it can be extended by application to the same department as mentioned above and is subject to the same conditions. This is issued to notable persons, VIPs, or people with important roles in the domain of bilateral cooperation. The application is made by the relevant institution, and the length of stay cannot exceed 90 days. To renew the visa, an application must be made directly to the Ministry of Foreign Affairs. This is only applicable to those who hold a diplomatic visa and have a diplomatic note stating the purpose of their travel to Cambodia. This is only applicable to Cambodian nationals holding dual nationality. The K visa has unrestricted validity and permits multiple entries and departures into and out of the country. How do you obtain a VISA for travel to Cambodia? 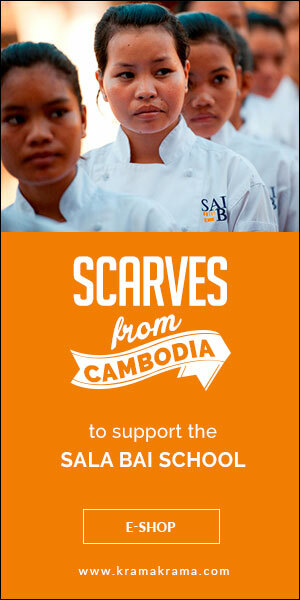 The visa can be obtained either in person, at the Cambodian embassy in France, or by post. 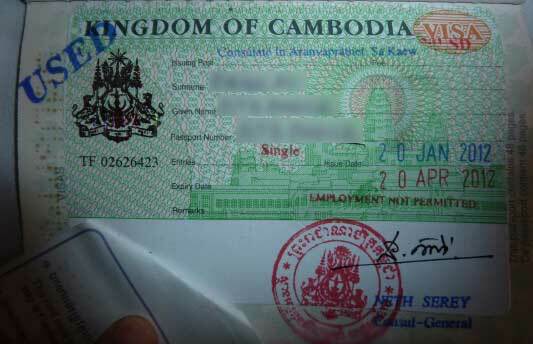 – The passport of the person travelling, which must be valid for at least six months beyond the date of departure from Cambodia. A photocopy of the passport’s photo page must be provided. – For the diplomatic passport, a statement of purpose or a diplomatic note from the relevant service must be attached. In these circumstances the cost is $20 for a tourist visa and $25 for a business visa. Note: if the application is made at the Embassy by a third party, or if it is made by post, a surcharge of €5 per passport is applied. You can obtain your e-VISA here ($20 + $5 fees) and print yourself your e-visa. If a visa has not been priorly obtained, it is possible to obtain one at the country’s land border control posts or at the international airports of Phnom Penh or Siem Reap in Angkor. In these circumstances the cost is $20 for a tourist visa and $25 for a business visa. Please note: if you are not able to provide a photo for the visa application at a Cambodian land border control post, or at Phnom Penh or Siem Reap airport, a surcharge of $2 will be applied.